The Broadcasters Foundation of America announced today that BMI songwriter and S-Curve Records recording artist Andy Grammer will perform at the 2017 Golden Mike Award this coming Monday, February 27, at the Plaza Hotel in New York City. The annual black-tie gala is a major fundraiser for the Broadcasters Foundation’s charitable mission to provide financial assistance to broadcasters in need. This year, the Broadcasters Foundation honors Paul Karpowicz, President of Meredith Corporation’s Local Media Group, with the Golden Mike Award and Bill Hoffman, retired President of Cox Media Group (CMG), with the 2017 Lifetime Achievement Award. 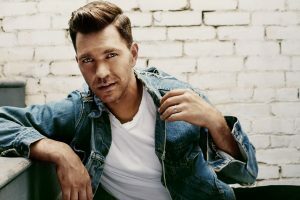 New York-born Andy Grammer first earned his stripes as a pop star on the Santa Monica Promenade. After signing with BMI and S-Curve, he became the first male pop star in a decade, since John Mayer, to reach the Top 10 at Adult Pop Radio on his first two singles. Grammer has taken the music world by storm with a succession of anthemic pop hits. His debut album featured the platinum singles “Keep Your Head Up” and “Fine By Me.” Andy’s second album, Magazines or Novels, featured the triple platinum infectious smash hit “Honey, I’m Good,” which was one of the best-selling songs of 2015, and the certified gold anthem “Good to be Alive (Hallelujah).” Expanding a veritable catalog of hits, “Fresh Eyes” is pacing to become his biggest song yet. After reaching #27 on Spotify’s Global Chart, the song has surpassed 160 million Spotify streams and 20 million cumulative YouTube/VEVO views. As previously announced, three of the most highly influential leaders in broadcasting will help present this year’s Golden Mike Award — Steve Lanzano, President of the Television Bureau of Advertising (TVB), Mike O’Neill, President and Chief Executive Officer of Broadcast Music Inc. (BMI), and Gordon Smith, President and Chief Executive Officer of the National Association of Broadcasters (NAB).